3 COLOR Artwork X-LARGE Sheet Size 13 x 18.5 inches ( 33 x 48cm ) Custom Plastisol Transfers of your Designs made via Spotpro Screen Printing Process. 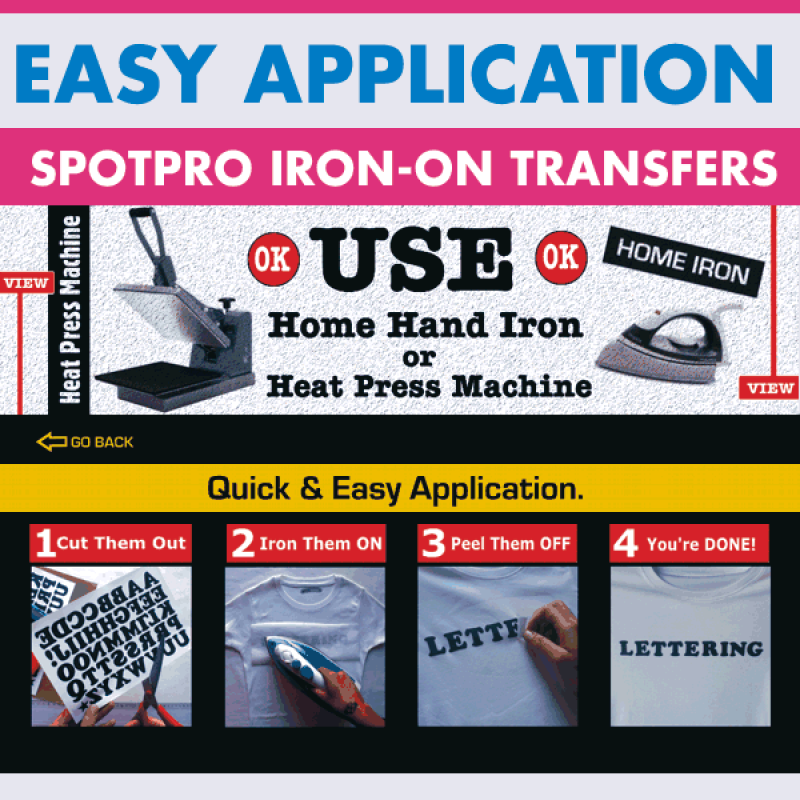 Clients can send us their Artwork Graphic Files after Checkout. 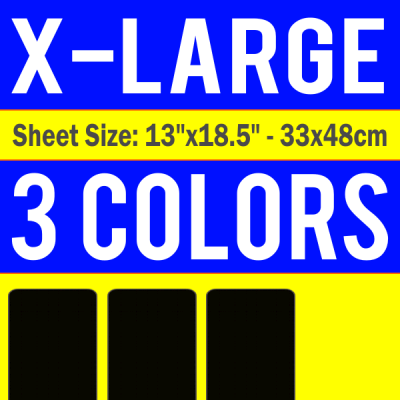 Product Spotpro Custom Plastisol Transfers X-Large Sheet. 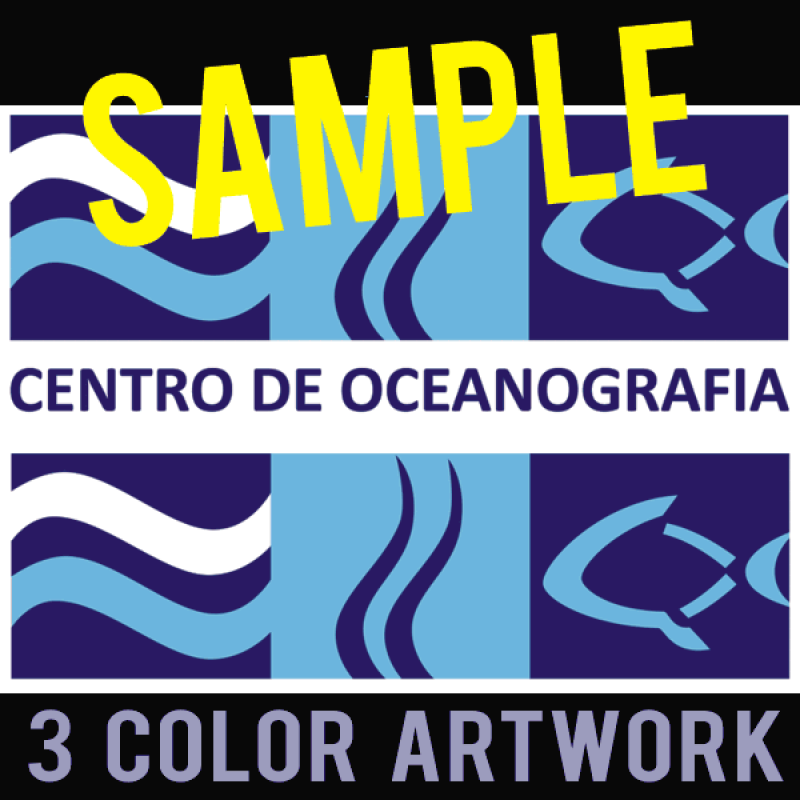 3 Color Art. 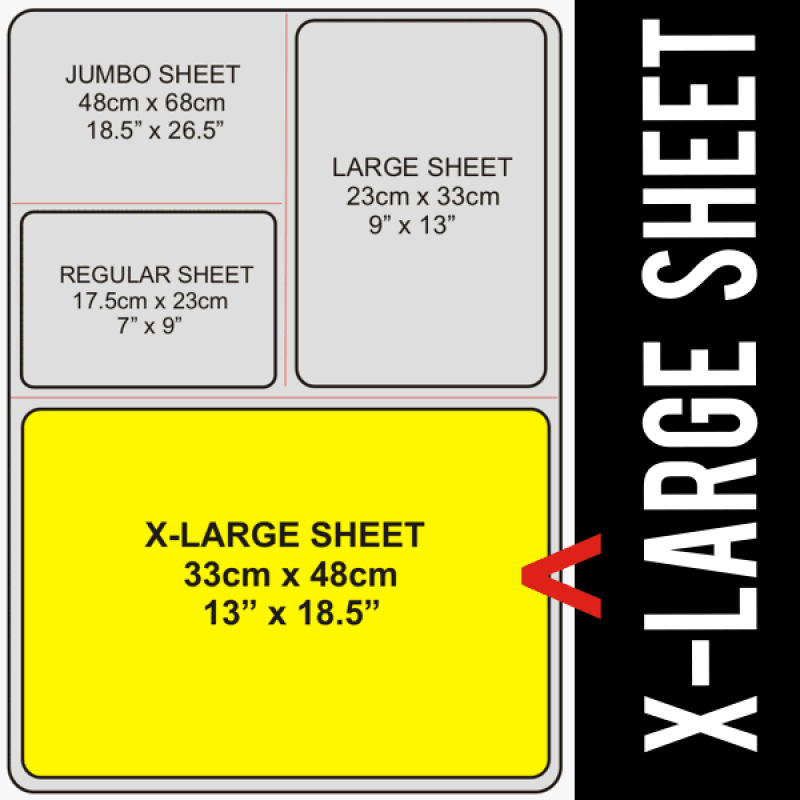 Sheet Size X-LARGE Sheet: 13 x 18.5 inches - 33 x 48cm. Screens 3 Screen Color Included.